Informa Exhibitions U.S. reported that its recently completed space draw for World of Concrete 2019 secured just over 970 exhibitors booking more than 676,000 net square feet of exhibit space. 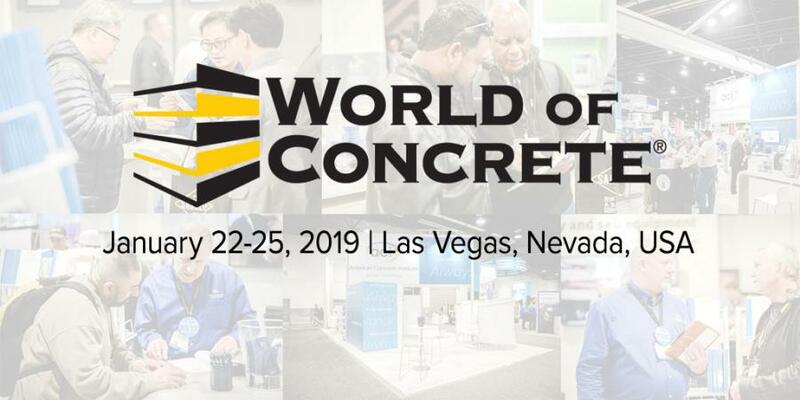 With nine months remaining until WOC 2019, organizers are anticipating significant growth over World of Concrete 2018 — which was the largest event in nine years, with 58,000 registered professionals featuring 1,564 suppliers exhibiting across more than 746,000 net square feet of space. World of Concrete 2019, taking place Jan. 22 to 25; seminars 21 to 25, at the Las Vegas Convention Center, will feature a week of new products, the latest equipment, cutting-edge technologies, spectator events and competitions, and more than 150 educational sessions including luncheons, interactive workshops, hands-on training, and industry and hands-on training. For more informaiton, visit www.worldofconcrete.com.